Few rock musicians have a history as varied and impressive as influential lead guitarist Bob Kulick. In the 1970s, Bob worked with KISS on “Alive II”, followed by “Unmasked” and “Killers”, as well as Paul Stanley’s 1978 solo LP. Bob’s younger brother, Bruce Kulick, would go on to join KISS for a number of years. Bob also found time to play on Lou Reed’s “Coney Island Baby” (1975), Michael Bolton’s 1983 debut, WASP’s “The Crimson Idol” (1992) and “Still Not Black Enough” (1995), in addition to a long running collaboration with Meat Loaf, from touring the “Bat Out Of Hell” LP, through to 1987’s “Live at Wembley” album, and also two albums with Balance in the early 80s. In the 1990s he recorded with Blackthorne alongside former Rainbow vocalist Graham Bonnet, as well as the hard rock group, Skull, who released their sole LP, “No Bones About It” in 1991. 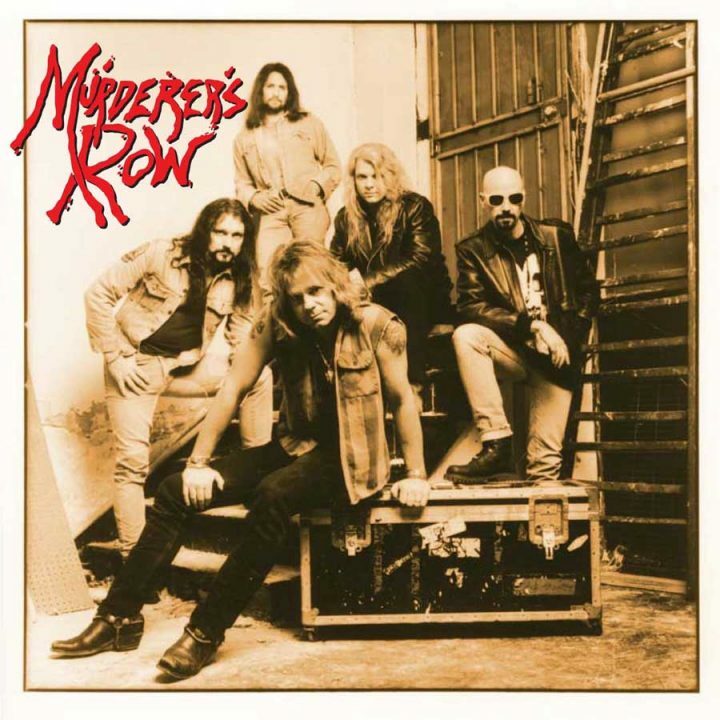 Which brings us to the short-lived “Murderer’s Row”, where Bob was joined by Jimmy Waldo on keyboards, who has had as varied a career as Kulick, having played with Alcatrazz, Blackthorne (alongside Kulick), Graham Bonnet Band, New England and Quiet Riot. The band were fronted by David Glen Eisley, who had previously sung lead vocals for the bands Sorcery (1980-1983), Giuffria (1983–1988) and Dirty White Boy (1988–1991) before joining Bob and Jimmy in Murderer’s Row. Drummer Jay Schellenbaum had played with Asia, Circa and Hurricane, with the line-up completed by bassist Chuck Wright. The set includes a new essay from Malcolm Dome, based on recent interviews with Bob Kulick, Jimmy Waldo and David Glen Eisley, discussing how the band formed and the making of the record. “Murderer’s Row” should appeal to fans of commercial, hard rock, and bands such as KISS, Blackthorne and Meat Loaf.